Several local ski resorts are offering discounts on lessons during January as part of Learn to Ski & Snowboard's month-long initiative. Across the country today, first-time skiers and snowboarders are hitting the slopes to take part in the National Learn to Ski or Snowboard Day Celebration. As part of the Learn to Ski & Snowboard program, resort’s across the nation are offering discounts and special rates to first timers in an effort to break the record for the most beginner lessons taught in one day. The current record, according to Learn to Ski & Snowboard, is 6,002. 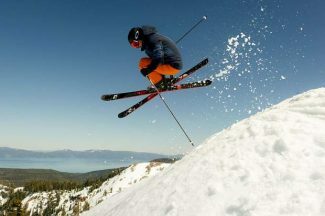 Throughout January Squaw Valley Alpine Meadows is offering deals and discounts intended to introduce beginners to the sport. 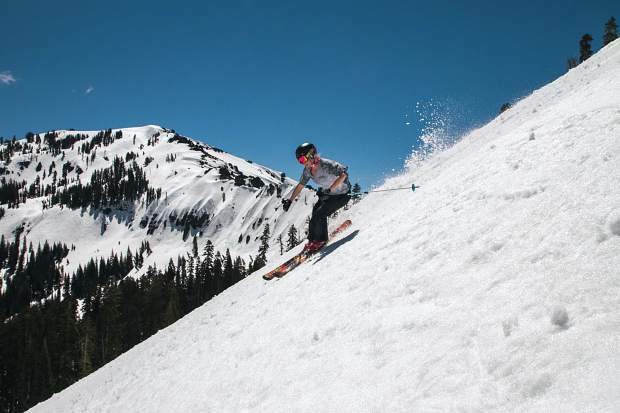 Squaw’s Learn to Ski/Ride Lessons get beginners started, and the new Perfect Progression Program prepares skiers and riders for an entire season on the mountain. For adults and teens, the Learn to Ski/Ride lesson package offers beginners the ability to learn the basics in a safe environment from instructors at the Alpine Meadows Ski and Snowboard School. The 2.25-hour lesson focuses on teaching the crucial skills of turning, stopping and riding lifts. 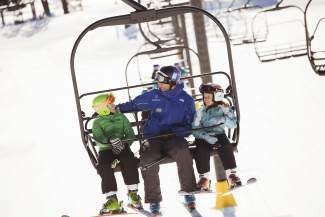 The package includes the lesson, rental equipment and a restricted beginner lift ticket for the day at a cost of $119. If purchased in advance, and $129 if purchased that day. If morning lesson participants want to continue to develop their newly acquired skills, they can opt for the Learn to Ski/Ride Upgrade, which gets them the afternoon group lesson session for just $69. The Perfect Progression Program ensures that participants have the skills and confidence to make skiing and riding a lifelong passion. Participants receive three half-day beginner ski or snowboard lessons, lift tickets, rentals, and three lunch vouchers (each with an $18 value) for use at Alpine Meadows; a one-time 30% discount at Estelle Sports; and an accessories package of goggles and gloves. After completing the three lessons, the program rewards participants with tools to continue developing their skills: 50% off group lessons, season-long rentals, and a Squaw Valley Alpine Meadows 2018-19 season pass—available exclusively for participants of this program. The Perfect Progression Program is a limited quantity product, and is available online for $499 per person. Homewood Mountain Resort is offering a learn to ski/snowboard deal for $69. The offer is available Sunday through Friday on non-holidays. First timers will receive a half-day lesson package, which includes an all-day equipment rental and a beginner lift ticket. The resort also offer a three-lesson deal at a cost of $249, which includes three full days of lift tickets, rentals and lessons. For more information visit, SkiHomewood.com. 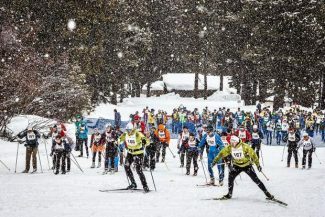 Mount Rose Ski Tahoe is offering first time packages for around $100, depending on the day. The packages include beginner lift access (Magic and Wizard), lessons, and rental equipment. For more information, visit SkiRose.com. In Incline Village, Diamond Peak offers beginner packages starting at $109, which include a lift ticket, 1 hour and 45-minute lesson, beginner lift ticket, and rental equipment. There area also options of lessons through the resort’s Sierra Scouts program, designed for ages 7-12. Diamond Peak offers family and private lessons as well. For more information, visit DiamondPeak.com. Sierra-at-Tahoe Resort will have a pair of days scheduled to help get first timers on the mountain. 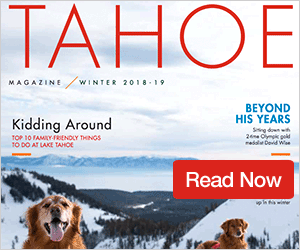 As part of Learn to Ski & Snowboard’s month-long initiative, Sierra-at-Tahoe is offering lift tickets for $79 for beginners, which include a lesson, rentals, and a limited access lift ticket. The resort is offering the special rates on Friday, Jan. 18 and Jan. 25. 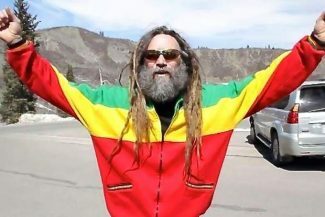 For more information, visit SierraAtTahoe.com.